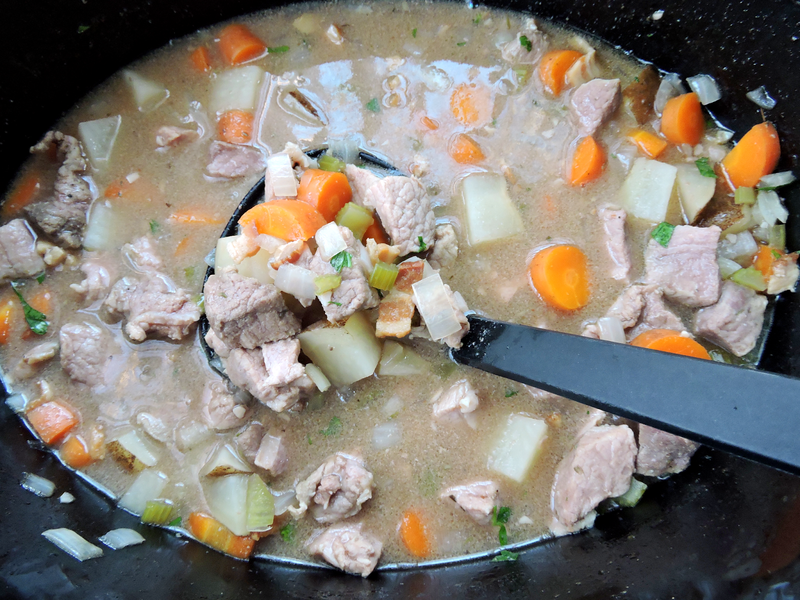 I'm back with another slow cooker recipe, because~ let's face it... no matter what season, slow cooker meals never get old. Since my last blog post, I have been cranking things up at work-- voluntarily taking on a much higher workload than before. I've also been knee-deep in the overwhelmingly exciting (yet highly stressful) process of becoming a first-time home buyer! On a not-so-happy note, our Beagle, Tucker, also wound up at the emergency vet with spine issues that we've been treating & monitoring. All this combined with a trip to Austin, TX for Paleo f(x) have made for an exciting, yet very busy month! It's left me feeling extra grateful for my incredibly supportive family, for Dathan's patience, and for quick & simple meals. This stew is one of them! 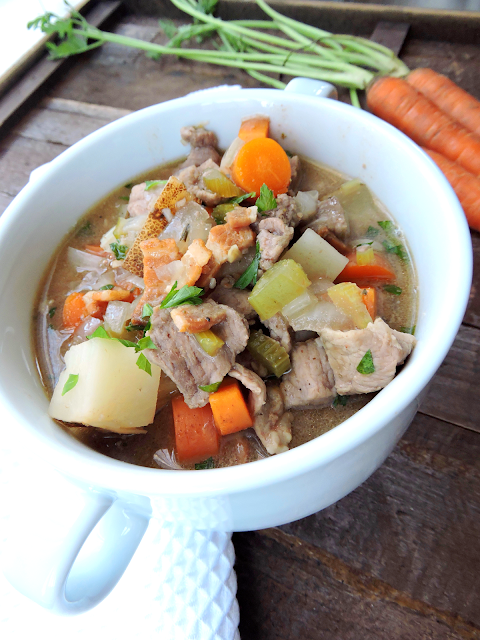 & The fact that it's packed with nutrient-dense beef and bone broth, plus a host of veggies, makes it even better. 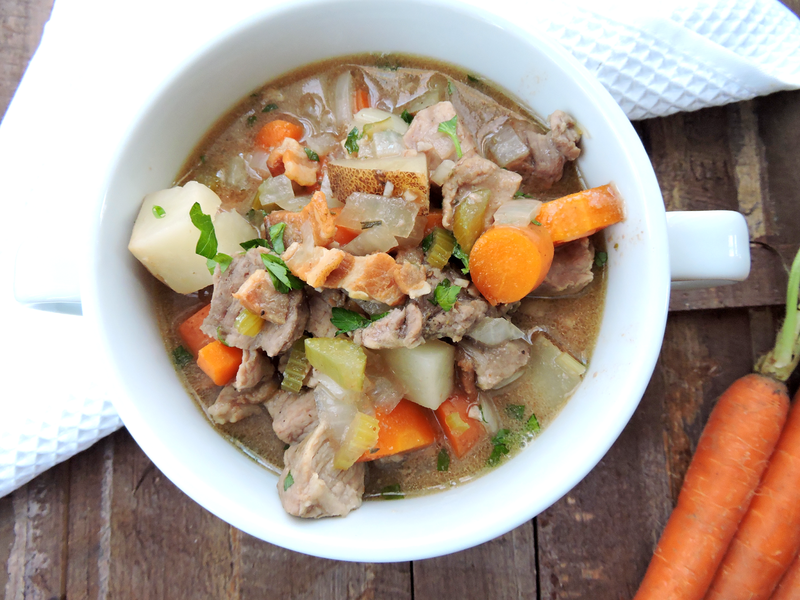 Give this a try next time you're in a pinch or in search of a simple slow cooker meal. It's sure to fill your bellies & keep you fueled for the busiest of days. In a large skillet over medium heat, cook the bacon pieces until browned. While the bacon cooks, add the remaining ingredients to a slow cooker. Stir in the bacon and its fat, then add the bay leaf. Cook on "low" for 6 to 8 hours. Remove the bay leaf, and scoop out a ladleful of the stew liquid into a small bowl. Add the arrowroot flour & whisk until smooth. Pour it back into the slow cooker, stir well, and continue to cook for 20-30 minutes or until thickened. Serve hot & store leftovers in the refrigerator. Enjoy!